This winter was a long cold one. It was probably the most brutal winter we had a in along time. Thankfully New York didn't get nearly as much snow as Boston and some other areas but we had our share of winter storms and below freezing days. I wore this look a couple of weeks ago when snow was still on the ground, but the sun shinning had me feeling Springy. 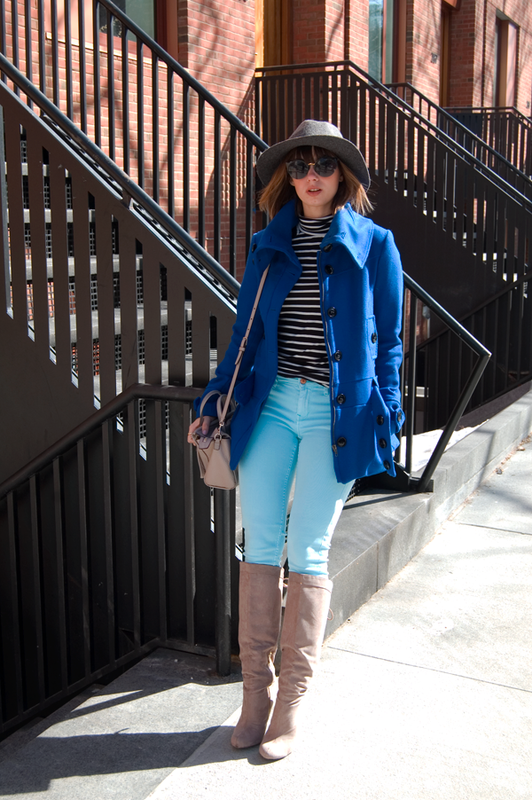 I have been hoping incorporating more Spring like colors into my looks would make Spring arrive faster. Just thinking about how the first day of Spring is this Friday washes away my winter blues. So pretty! I love your photos and the blues are perfect.